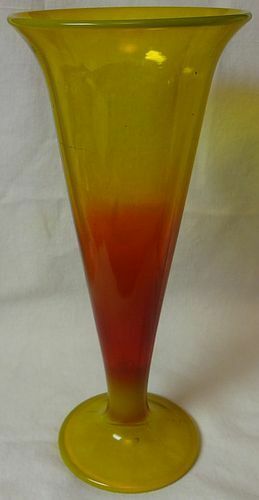 Aladdin Mantle Lamp Company made the Tall Lincoln Drape from 1940-49. This lamp is in great shape. It comes with a B burner. Thanks for looking. 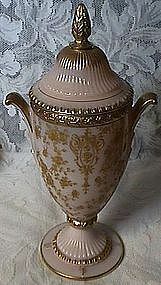 Cambridge Glass Co. made these Rosepoint urns with lids. They are in great shape. Thanks for looking. 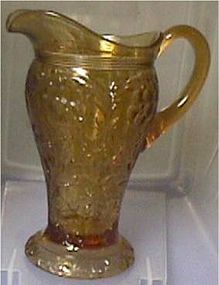 Aladdin Mantle Lamp Company made the Majestic from 1935-36. There are no chips or cracks in the glass. Thanks for looking. 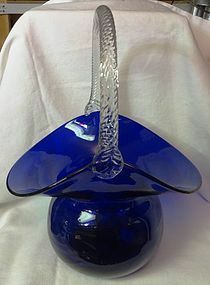 Morgantown Glass made this Clayton basket. There are no chips or cracks in the glass. Thanks for looking. 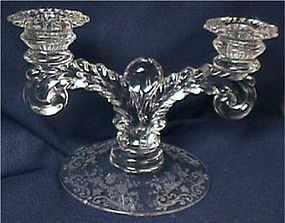 Cambridge Glass Co. made this draped lady flower frog. The 12.5" frog is in great shape. Thanks for looking. 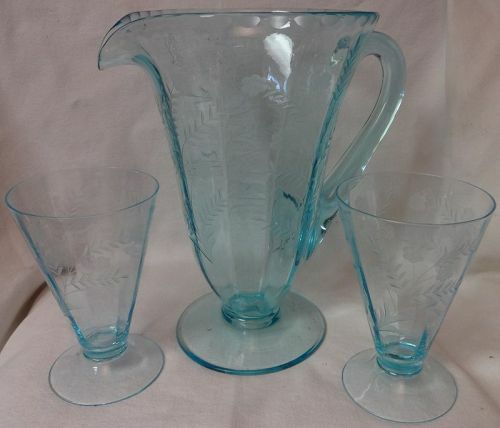 Morgantown Glass Company made this floral etched set. There are no chips or cracks in the glass. Thanks for looking. 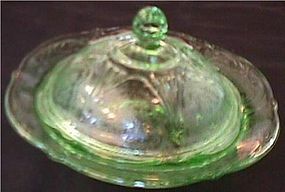 Cambridge Glass Company made this 9 5/8" ivy ball. It's in great shape. Thanks for looking. This is in great shape. Thanks for looking. 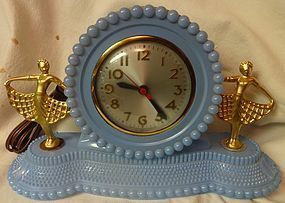 There are no chips or cracks in this Ballerina clock. Thanks for looking.